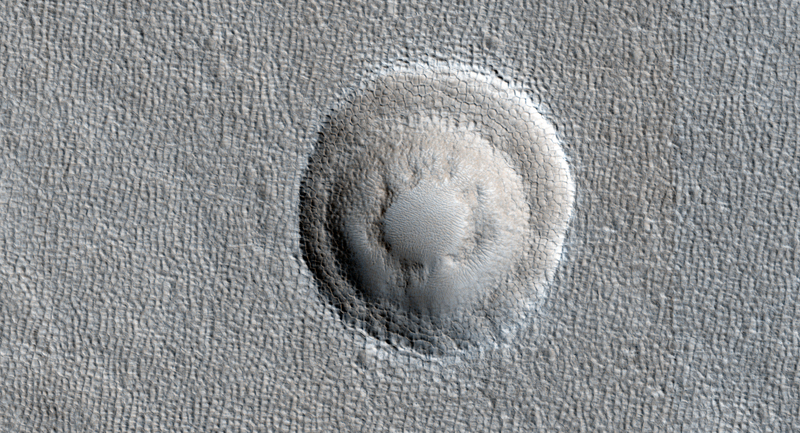 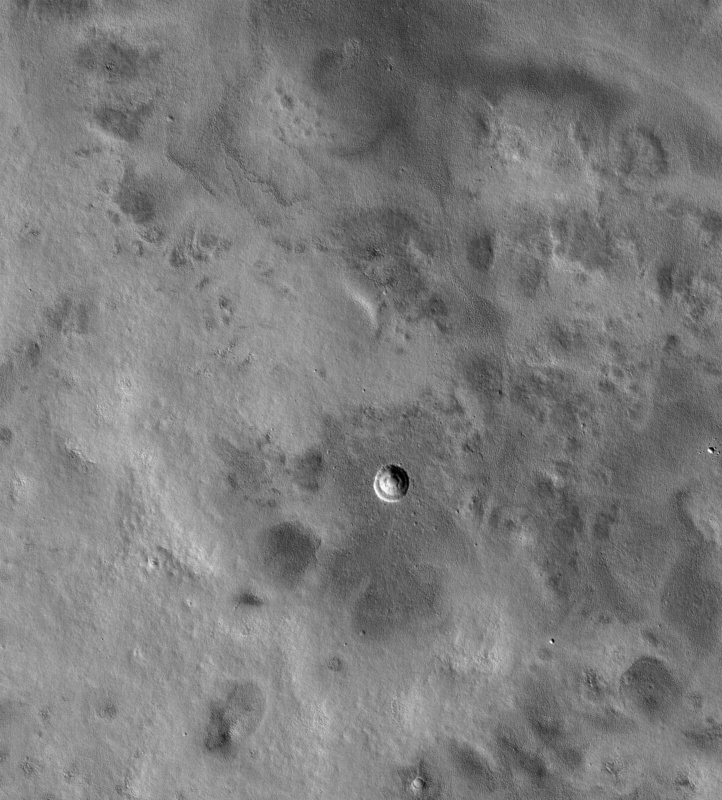 Small impact craters usually have simple bowl shapes; however, when the target material has different layers of different strength, then more complicated crater shapes can emerge. 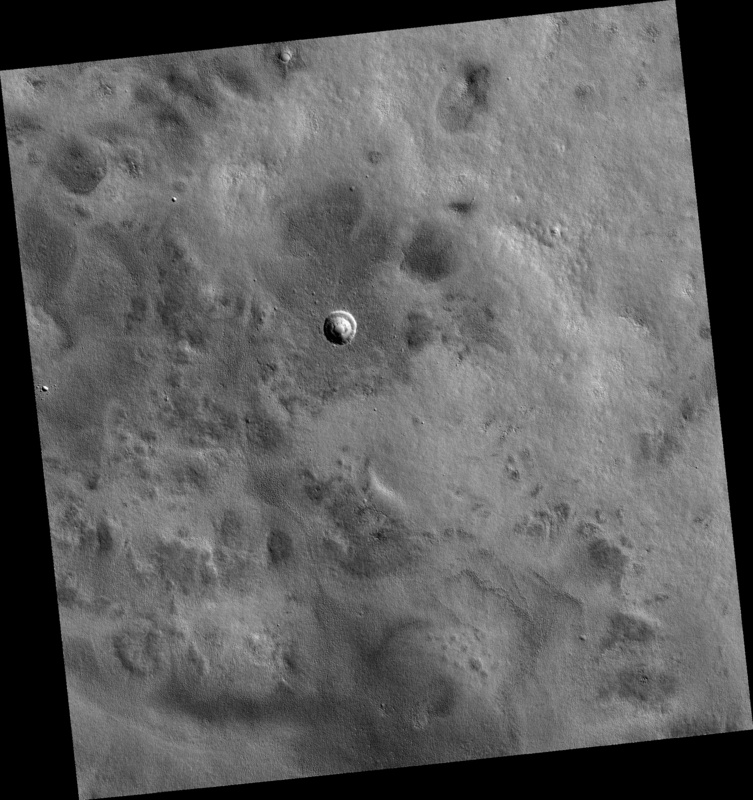 The most common situation is a weaker layer overlying a stronger one. In that case, these craters usually have a terrace on their inner walls where the crater abruptly becomes smaller at the depth where this change in material occurs. 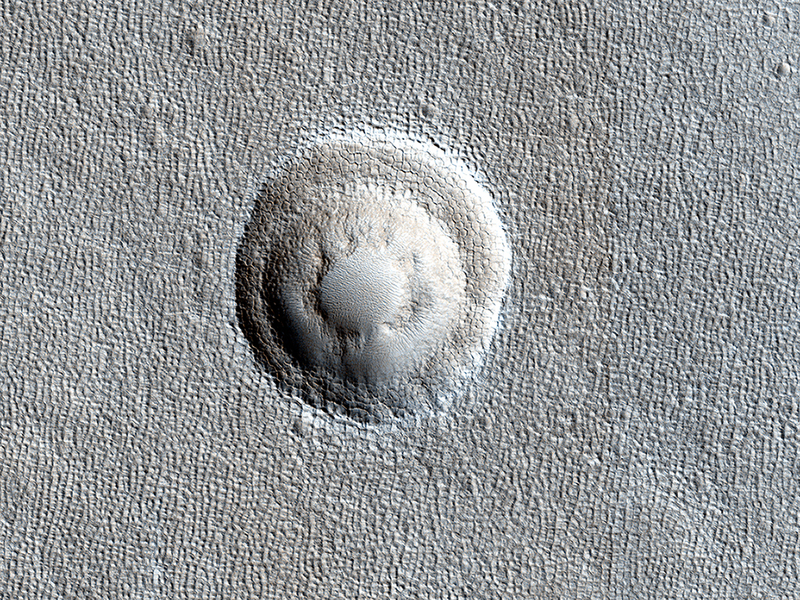 In this image of Arcadia Planitia, we can see one of these terraced craters. 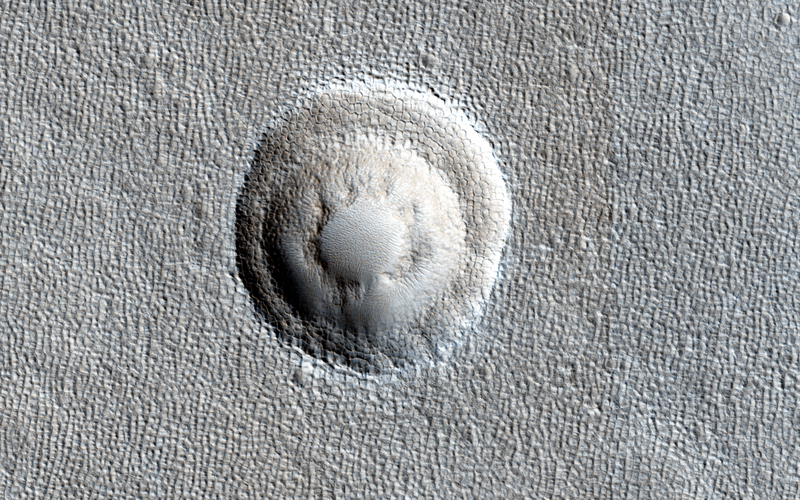 In fact, there are two distinct terraces implying at least three distinct layers in this target. Images like this help scientists probe the near subsurface of Mars. 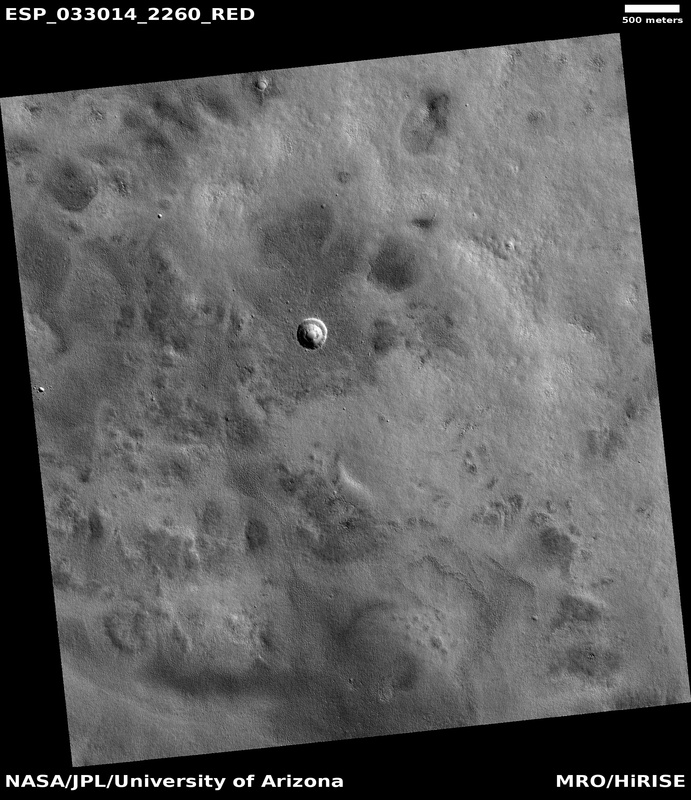 In this case, the different material strengths are probably caused by layers of ice (weak) and rock (strong). 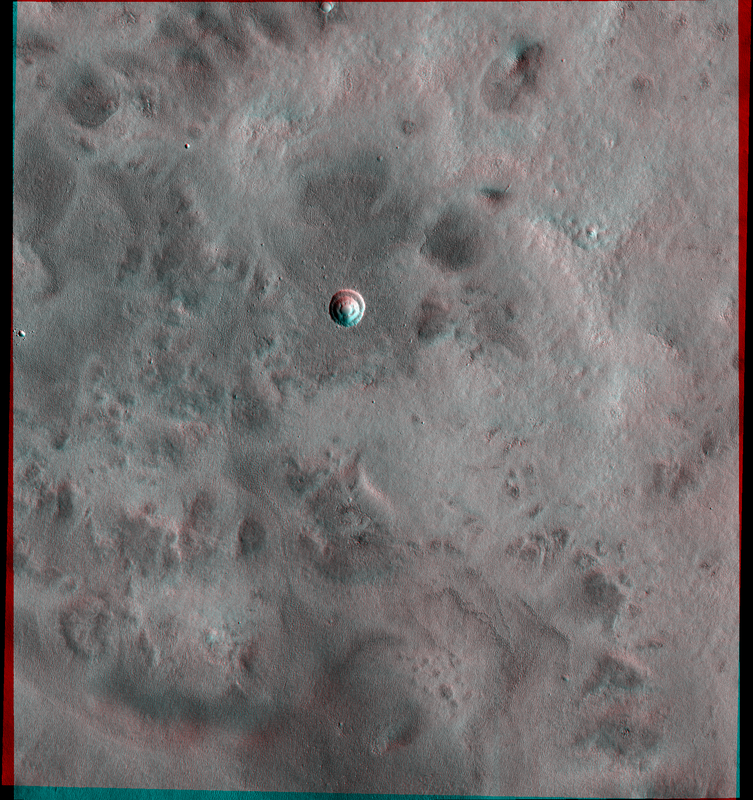 This is a stereo pair with ESP_034082_2260.